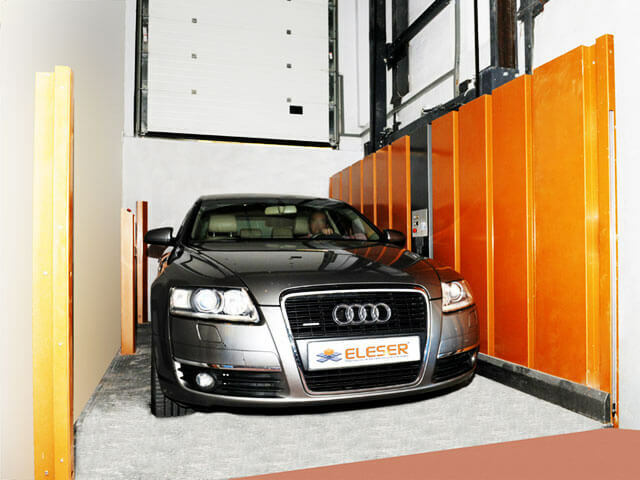 Reliability and safety are two mandatory characteristics at our Car Lifting Platform Elecar. 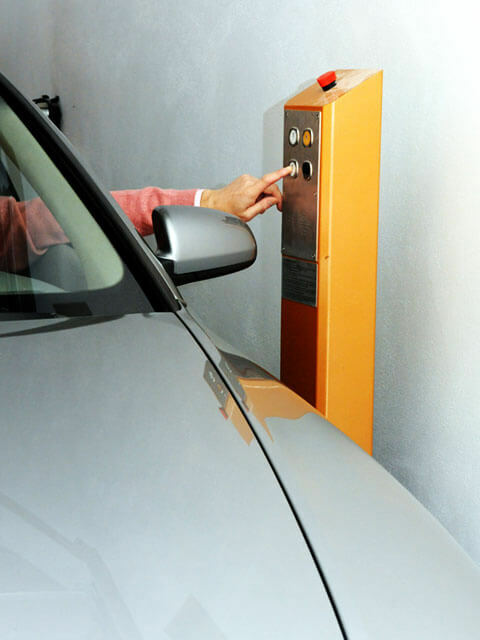 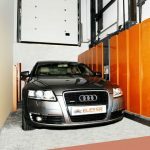 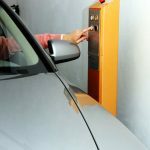 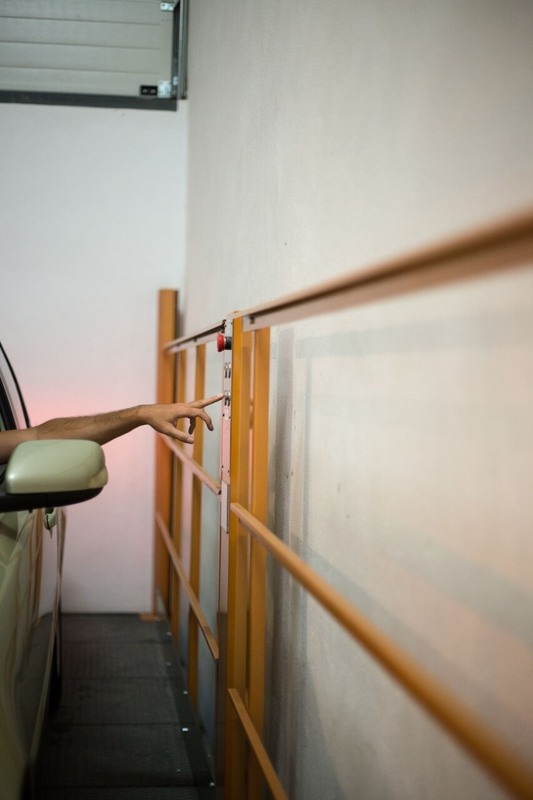 We have designed a car lift system for vertical transportation of vehicles with driver and passengers. 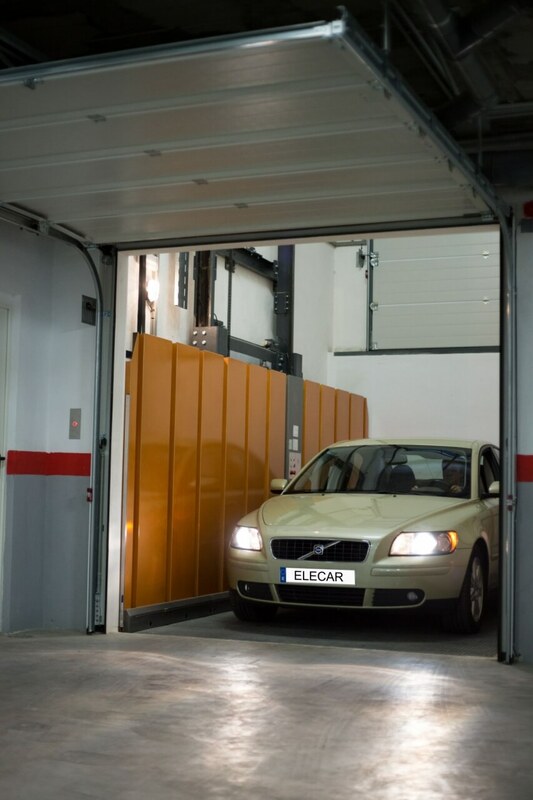 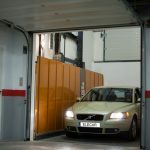 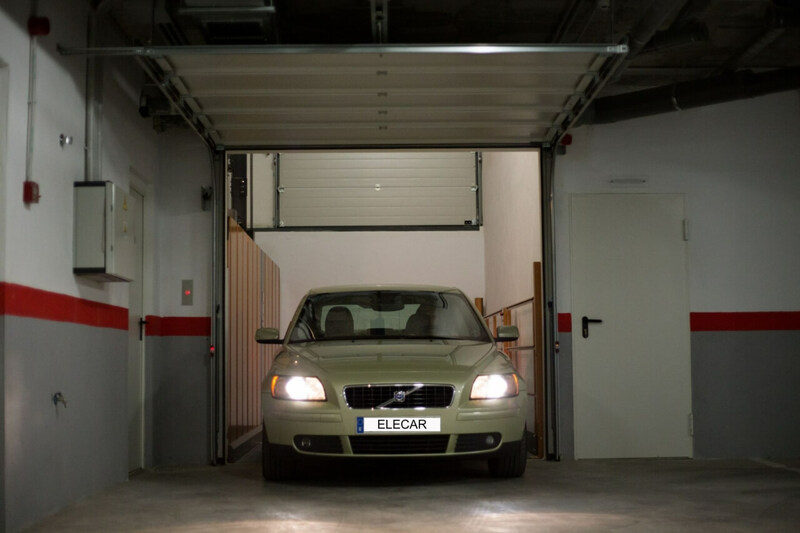 Our Elecar lift, removes architectural barriers and arrives even to reduced spaces at existing buildings. 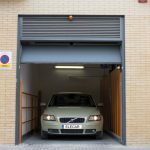 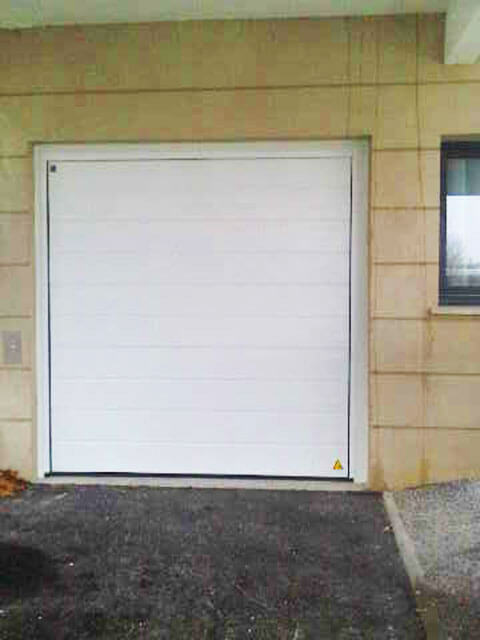 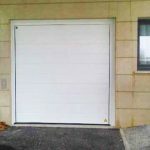 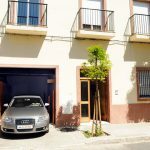 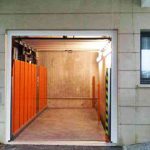 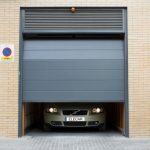 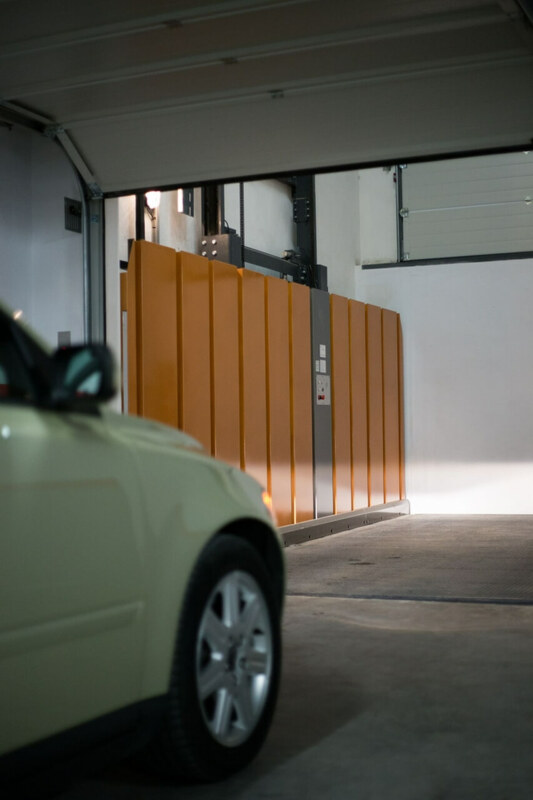 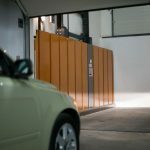 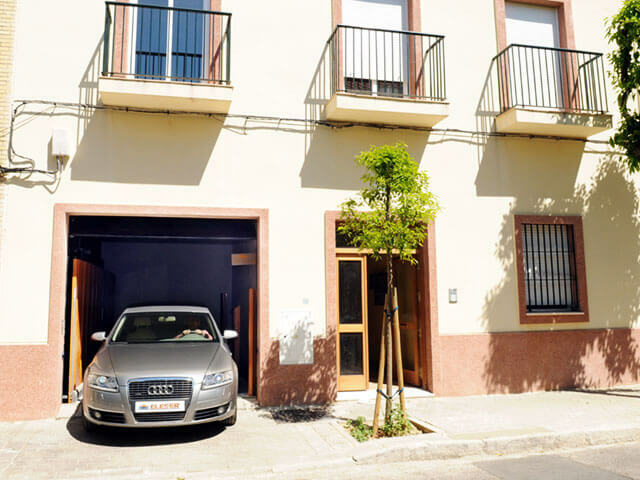 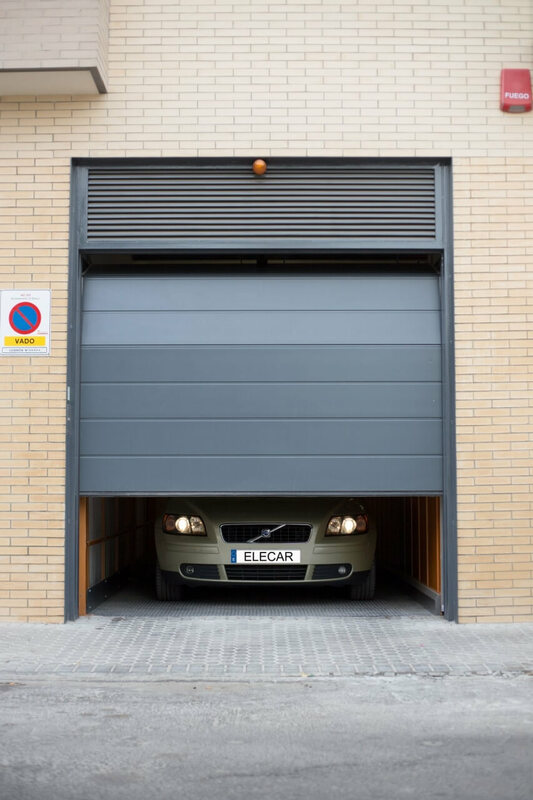 It is the solution for that cases where for space reasons; to build a garage access ramp is unachievable. 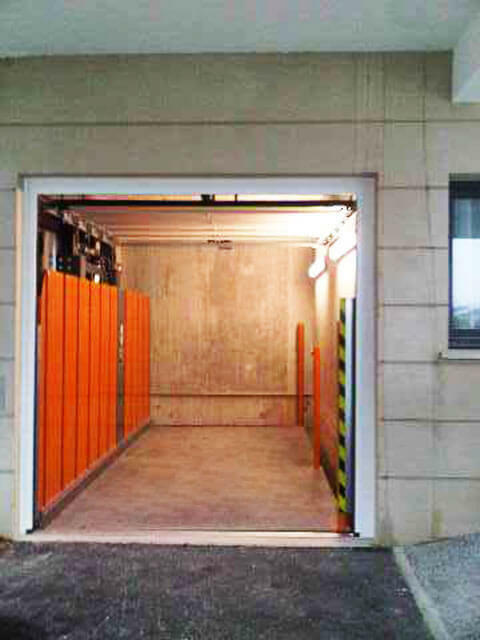 On the guide rail side, the platform is equipped with a full barrier wall of 2000mm/≈79in high. 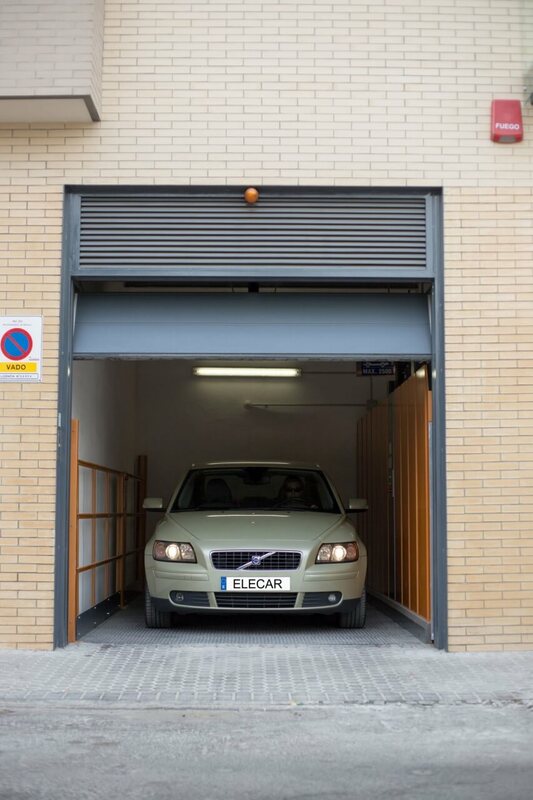 The 3 other sides are protected by light curtain units 1575mm/≈62in high, that prevent the platform from operating whilst the vehicle is not correctly placed. 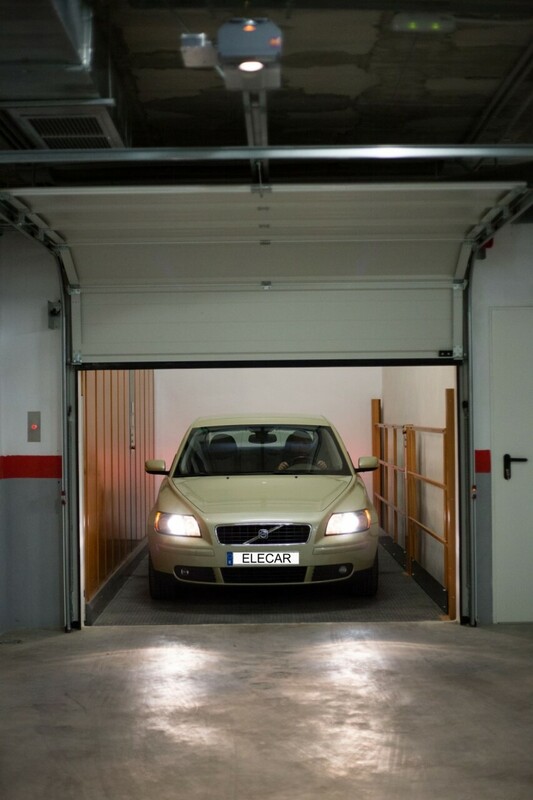 If the platform is not levelled with the ground.